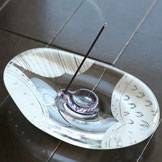 Ruri-ishiyu Incense Stand, Incense Burner, Hand-Made by Koichi Ohara Our settlement currency is Japanese Yen. The price in other currencies you see here is just for the reference. You will eventually pay in your own currency at the current exchange rate provided by credit card company or Paypal. 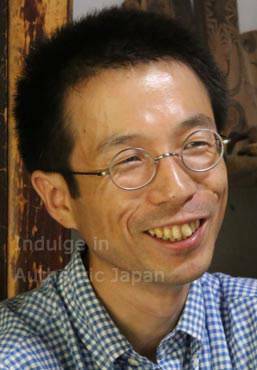 Born in 1974, Koichi Ohara has been living in Tokoname City – Japan’s premier pottery town, and home to one of its most prestigious pottery traditions – since 1996. 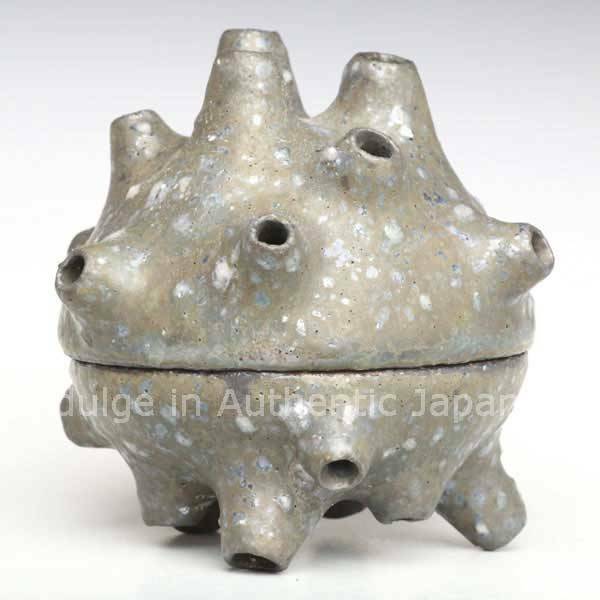 However, while many ceramic artisans in Tokoname come from families that have long been steeped in the pottery world, Koichi Ohara was born into the home of a normal Tokyo office worker, and raised in a world with no connection to pottery. Perhaps that is what gives his works such unique personality. 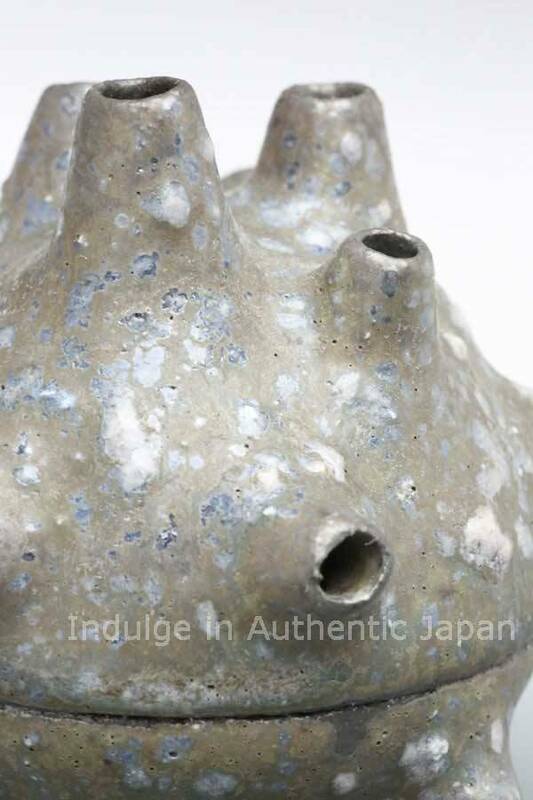 Ohara loves earth and clay with a passion – he is obsessed with it. 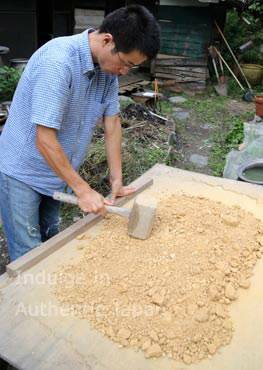 That obsession extends even to the mixing of the clay, which Ohara does by hand. 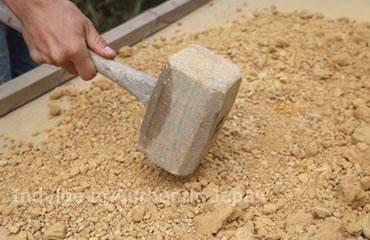 After collecting raw clay and allowing it to dry as-is for several days, Ohara breaks it apart with a wooden mallet, and allows it to dry for several more. 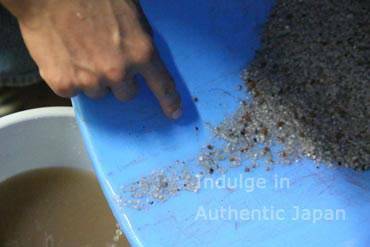 He then allows the clay to disintegrate in water, sieving it and removing any carboniferous impurities that cannot be strained out. 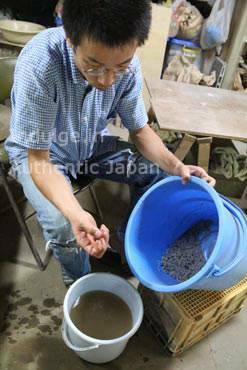 After allowing the clay to rest atop plaster boards for several days, Ohara then re-introduces some of the rocks and impurities set aside earlier in the process to the clay, and kneads the mixture to the perfect consistency. 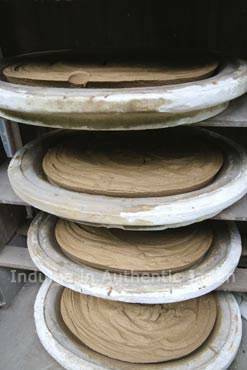 Going to such lengths to achieve perfect clay is extremely rare, even among ceramics artisans – most simply buy partially finished mixtures from specialists, rather than start from the very beginning on their own. 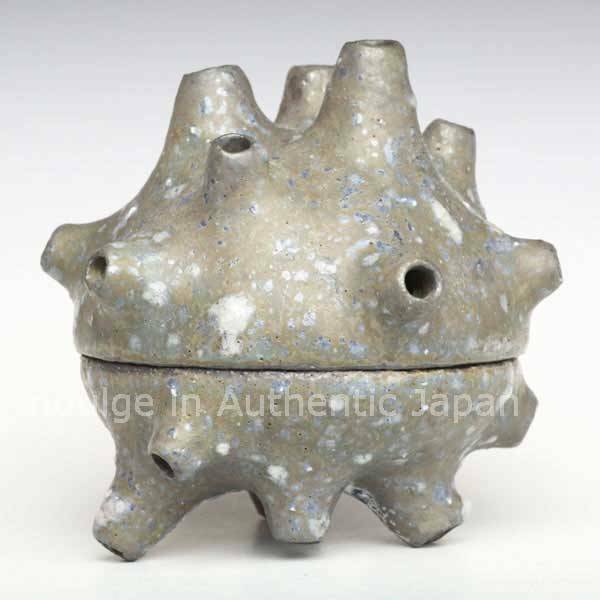 The atmosphere that Ohara’s pieces give off is due both to the unique feeling and textured surface produced by the small stones mixed into the works’ clay base, and to the unique ash glaze that covers the pieces. 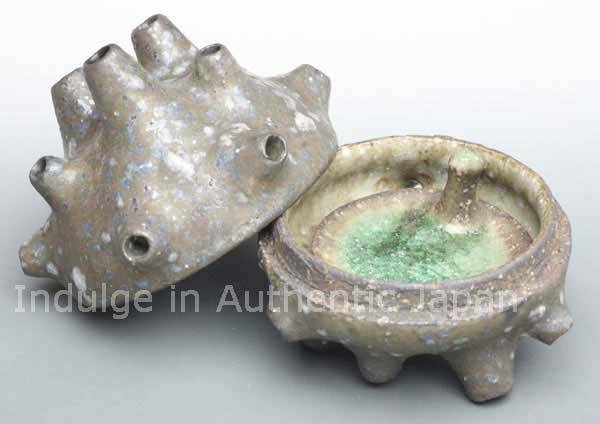 The glaze, too, is something that Ohara makes from scratch, by hand. Since he was a child, Ohara has liked to draw pictures and patterns, and practiced printmaking and oil painting during high school. When it came time to enter college, Ohara wavered over whether to throw himself into the fine arts or pursue the sciences; his dream of becoming a physicist ultimately won out, and he entered an engineering school. 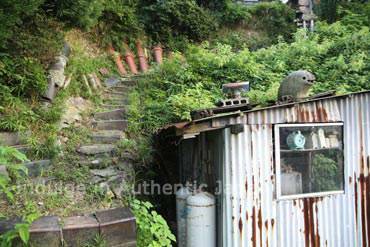 Almost immediately after entering, however, he discovered that he had little talent for physics, and left college. After dropping out, Ohara apprenticed himself to the Swiss artist Veronica Strasser, who has long resided in Japan, and studied ceramics. Strasser, too, made her own clay and glaze – Ohara learned this habit from her, and continues it to this day. 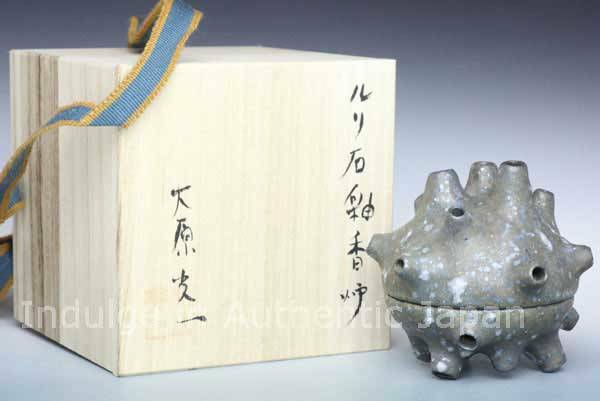 After learning the core processes of pottery making, Ohara visited centers of ceramics and porcelain production in Japan, Korea, and Thailand, picking up a wide variety of techniques, and learning how to craft his own glaze. 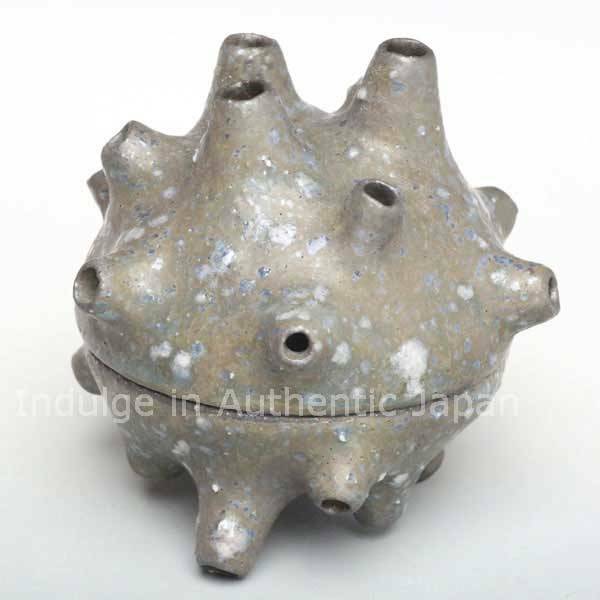 Because he was able to obtain only very limited information about pottery production centers in Korea and Thailand before embarking on his trip, Ohara travelled by making acquaintances in each town he visited and choosing his next destination according to their advice. 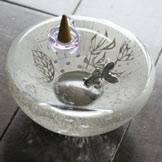 After he returned from his travels, in 1996, Ohara began working at a family-run porcelain production house in Tokoname, where he stayed for three years refining his skills on the pottery wheel. 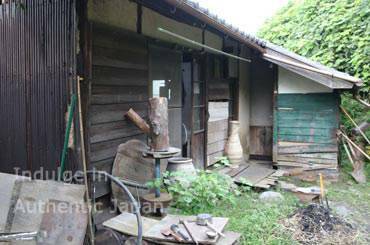 This is what sparked his relocation to Tokoname. 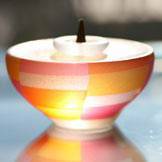 “I used to add pictures and vivid colors to my pottery. 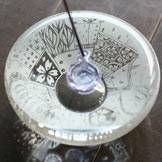 One day, however, I accidentally broke one of my decorated pieces. 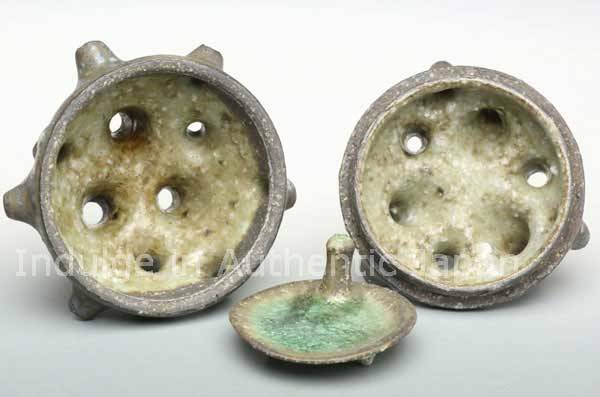 When I looked at the cross-section of the broken pot, I realized that I’d only been paying attention to the thin surface of the pots, and forgetting what was underneath. 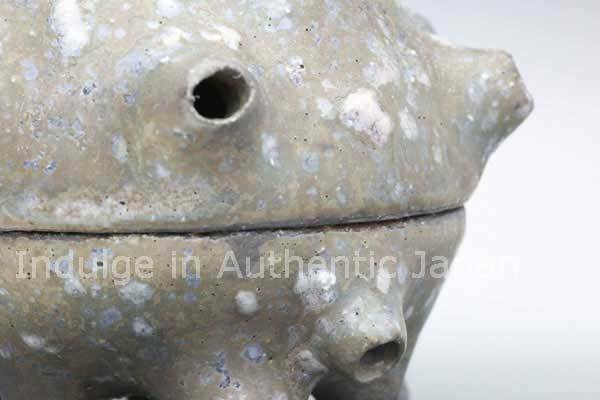 That’s when I first decided to make pots that would be beautiful all the way through – that would look beautiful even when viewed in cross-section,” he recounts. 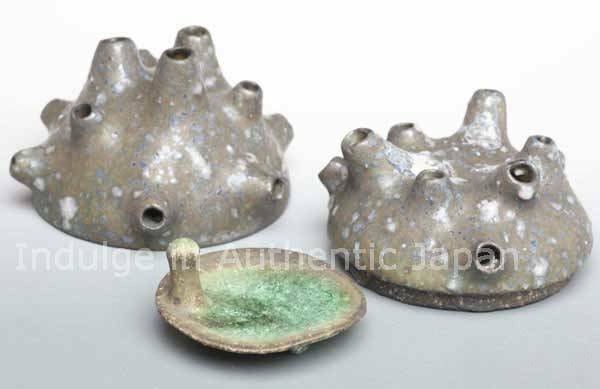 Precisely because his background is so different from many Tokoname artisans, we can surely expect further surprises and innovation from Ohara. Who knows what he unique style he will develop next?